How can a graduate school of education change the world? Dean Pam Grossman sees Penn GSE generating the knowledge and making the connections that can effect real change. 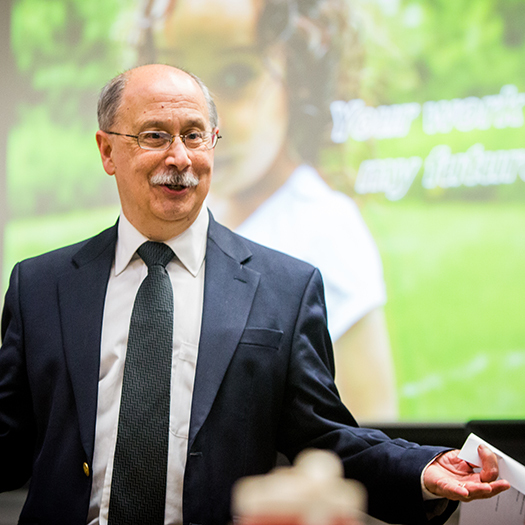 Now and in the years ahead, Dean Grossman envisions the School’s students, faculty, and alumni opening up opportunities for children, families, and communities. 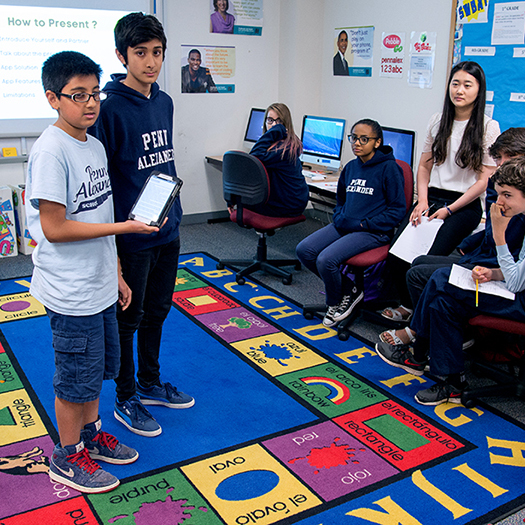 Learn below how their work will create greater pathways to intellectual exploration, successful employment, informed citizenship, and more through Penn GSE’s four key areas of strength: Access and Inclusion, Practical Knowledge, Powerful Partnerships, and Innovation for Impact. We welcome you to read more about Dean Grossman on her faculty page. I am energized and confident about the vital mission of Penn GSE and the tremendous opportunity we have to increase our impact in our second century. The people of Penn GSE are the greatest source of my optimism. Our faculty, students, staff, alumni, and friends know that their work matters. 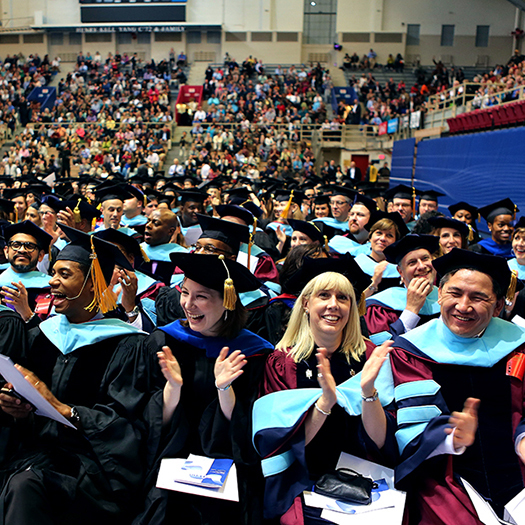 Education has a unique power to unlock opportunity throughout an individual’s life, and the Penn GSE community is deeply committed to improving the lives of students of all ages—from pre-K through graduate school. We have identified some of the biggest challenges education must address in the twenty-first century: rising economic inequality, the impact of poverty on children’s education, and the role of education in an era of mass migration and mobility. We have also affirmed our commitment to addressing these challenges through our research, through our preparation of transformational teachers and leaders, and through our partnerships. Our greatest assets in addressing these challenges will be the following four key areas of strength: Access and Inclusion, Practical Knowledge, Powerful Partnerships, and Innovation for Impact. They represent a broad vision of what we can accomplish together. Education can change the course of a person’s life. 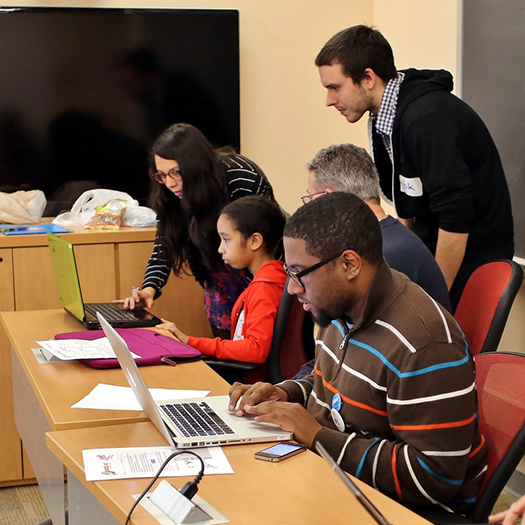 Penn GSE faculty and students are increasing the availability of learning opportunities for all ages. Like Penn founder Benjamin Franklin, GSE solves problems by combining theoretical and practical wisdom. From schools in Philadelphia to higher education in Chile, India, and Kazakhstan, Penn GSE partners to support students and communities. Staying at the forefront of education means constantly identifying new challenges in the field and meeting them with novel solutions. At Penn GSE, everyday moments resonate with the power of our shared commitment. The conversations I have with our students throughout the year reveal the talent, intensity, and vision that have brought them to us—and that they in turn will use to benefit the larger world. They inspire me with their passion. Our faculty are equally passionate about the work they do to improve the life chances of children. They study how policies can best support high quality education, partner with teachers and schools to increase access to science and math, and work with our city to improve the teaching of students who are learning English. With each child, school, or community they reach, they build national models, working to increase opportunity through education. As we publicly launch the Extraordinary Impact Campaign, I am enthusiastic about the collective outcomes we can achieve. As alumni, friends, faculty, staff, and students with a tremendous impact on education across the nation and around the world, we are poised to take our work to extraordinary heights for the benefit of learners of all ages.